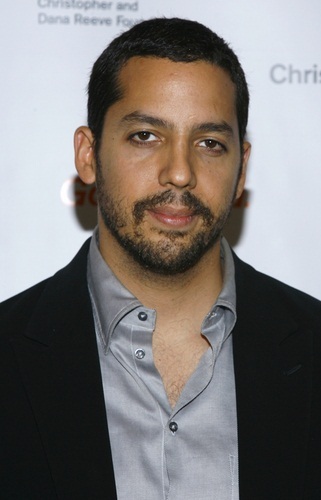 David Blaine is an American magician, illusionist, and endurance artist. He is well known for his magic tricks and incredible feats of endurance. His father, William Perez, is of Puerto Rican and Italian descent. His mother, Maureen Patrice (White), was Jewish. He has a daughter with his former partner Alizée Guinochet. David’s maternal grandfather was Irving Jacob Weiss/White (the son of Paul Weiss and Annie Goldfluss). Irving was born in New York, to Jewish parents from the Austro-Hungarian Empire. Paul was the son of Simon Weiss and Ernestine Goldstein. David’s maternal grandmother was Mollie/Marta/Martha Gellman/Gillman (the daughter of Morris/Munish Gellman and Chaije/Rebecca/Becky Kessler). Mollie was born in New York, to Russian Jewish parents. Morris was the son of Shimon/Simon Gellman and Edith Rosen. He would fit best in North Africa. He’s predominately Caucasoid with minor Negroid/Native admixture (10-15%) from Puerto Rican ancestry; he looks Arab.